This last week I was fortunate to spend time with hitting coach Nate at the D-Bat in Mesa, AZ. Call it World Series fever or whatever, I love getting back to my baseball roots and looking at how the two sports compliment one another. Be sure to watch the complete 5-video series at malaskagolf.com. This new Golf Talk series is now up. Become a member. Learn step-by-step by following The M-System. Enjoy all the lessons we have posted, over 1,000 videos, to better your understanding of the game and improve on the course. Thinking about baseball and golf, you don’t want to square the bat with the wrong part of your body. Same goes with golf. Keep your shoulders parallel as long as possible. It’s all about your hands. Don’t get your lower body moving in towards the ball. 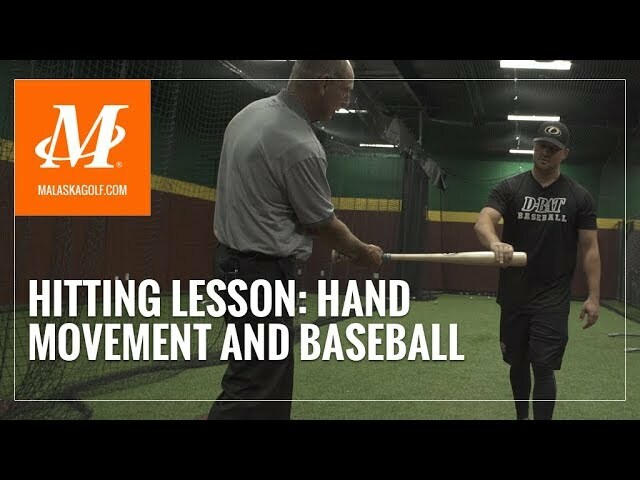 There are several things that crossover from baseball to golf and will improve your swing in both if you understand the correct movements. Don’t just play golf. Understand it.